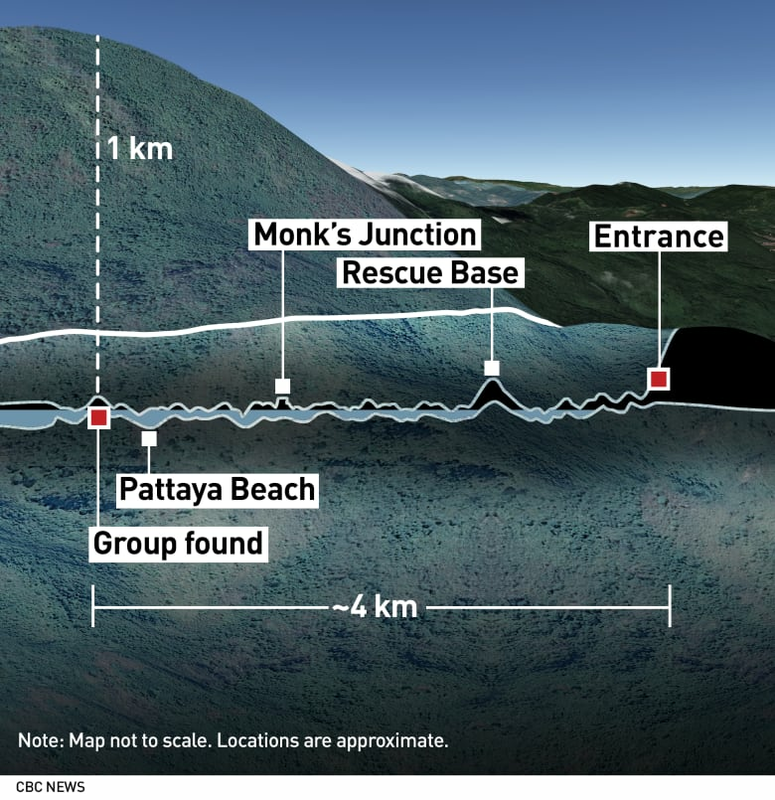 All 12 boys and their soccer coach, who were trapped for more than two weeks deep inside a flooded Thai cave, have been rescued, a Thai navy SEAL unit says. "The 12 Wild Boars [players] and coach have emerged from the cave and they are safe," the SEAL unit said Tuesday on its official Facebook page, using the soccer team's name. The team members, who range in age from 11 to 16, and the coach became trapped on June 23 while exploring the cave complex in the northern province of Chiang Rai after soccer practice and a rainy season downpour flooded the tunnels. British divers found the group, hungry and huddled in darkness on a muddy bank in a partly flooded chamber several kilometres inside the complex, on Monday last week. Another four were rescued on Monday, and the last four boys and the 25-year-old coach were brought out on Tuesday. 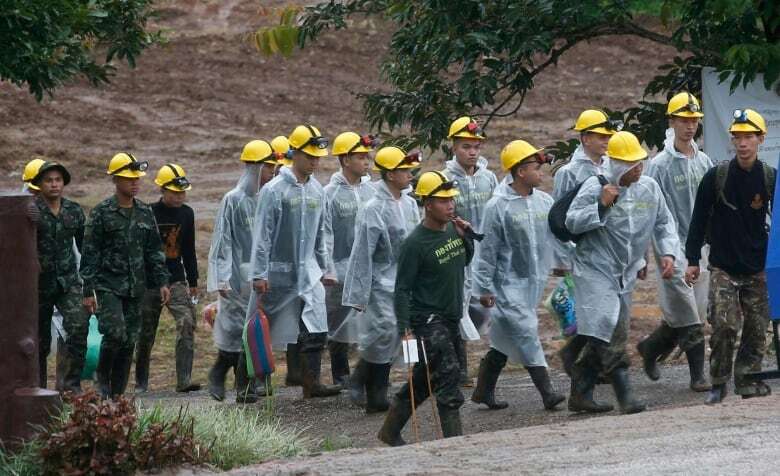 Word that they had all made it out safely was met with cheers at a local government office where dozens of volunteers and journalists were awaiting the outcome of the rescue operation. "There's just a lot of happiness in the atmosphere right now, people taking pictures, hugging, really just a sense of elation that the mission today was so successful," the CBC's Briar Stewart reported from a media centre there. "I'm happy for Thais all over the country, for the people of Mae Sai, and actually just everyone in the world because every news channel has presented this story, and this is what we have been waiting for," she said. Mae Sai is the district where the cave is located. People across Thailand, and around the world, have been closely following the rescue operation, including at the Mae Sai Prasitsart school where six of the trapped boys are students. However, celebrations will be tinged with sadness over the loss of a former Thai navy diver who died last Friday while on a resupply mission inside the cave in support of the rescue. Three members of the SEAL unit and an army doctor, who had stayed with the boys since they were found, made it out of the cave later on Tuesday, officials said. Officials have not been commenting on the rescue mission as it has been taking place, so the condition of those brought out on Tuesday wasn't clear. 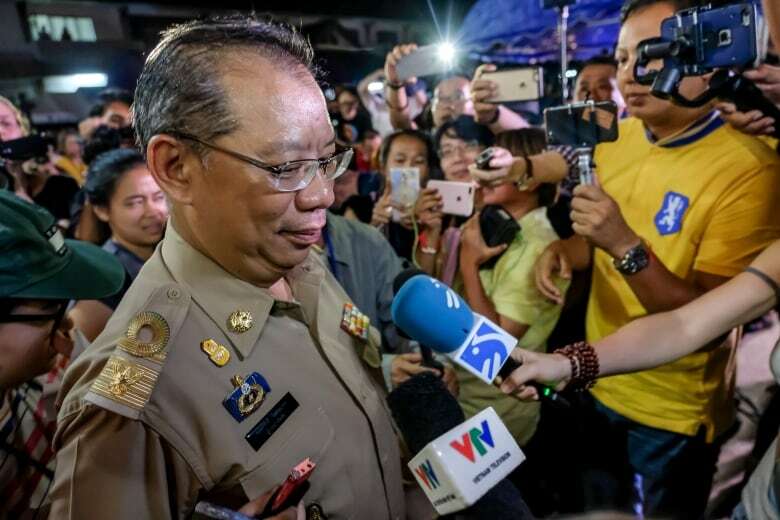 The eight boys brought out on Sunday and Monday were in good health overall and some asked for chocolate bread for breakfast, officials said, though they can't yet digest the spicy dishes favoured by many Thais. The boys were still being quarantined from their parents because of the risk of infection and would likely be kept in hospital for a week to undergo tests, officials said earlier on Tuesday. It was clear doctors were taking a cautious approach. Jedsada Chokdumrongsuk, permanent secretary at the Public Health Ministry, said they were uncertain what type of infections the boys could face "because we have never experienced this kind of issue from a deep cave."